Every human is a complex, multi-dimensional energy being. 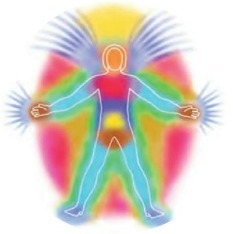 The human biofield is the energetic blueprint or matrix that creates the human form. Every human being, and every living creature on this planet, has such a blueprint. The human biofield is multidimensional, offering 3D physical form along with the vibrational aspects of the emotional and mental planes and beyond. The biofield is holographic and predetermines who we are, while at the same time reflects our state of being moment to moment. If any portion of the physical body is removed, the holographic blueprint of that tissue remains. The biofield can be read, scanned and interpreted in many different ways, just like any blueprint. The human biofield is holographic. It directly links the bodies cellular activity with the meridian pathways to create the physical form and all other vibratory aspects of the being. This energetic field is like a superhighway that allows the DNA in our cells to communicate faster than light and maintain a coherent, holistic, intelligence, in the organism. 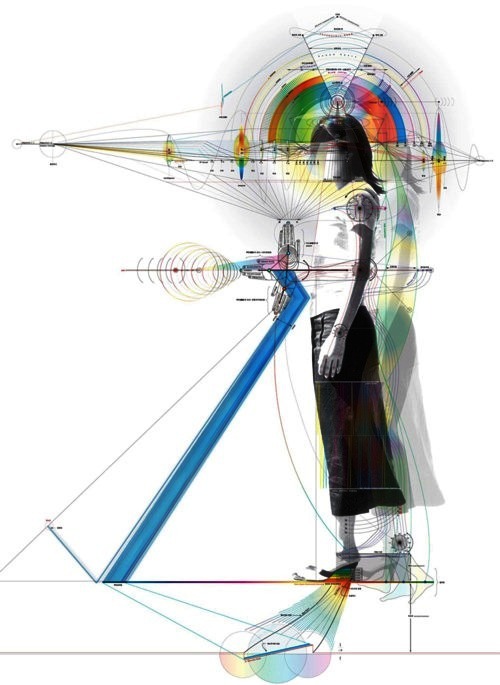 The biofield is commonly referred to as the aura, but this is not strictly accurate as the biofield is comprised of multiple frequencies and information. Every one of us is an energy being. In fact, we are all beings of light existing across multiple dimensions. We all consume different frequencies of light in multiple ways to create who we are. Your biofield is a complex living structure and the energy of that structure is sometimes referred to as Quantum Energy. Indeed, we are very complex beings existing as a combination of up to 22 vibratory states, interconnected with up to 14 strands of DNA, all of which are based on light energy. These vibratory states coalesce or form around the zero point of your central cord. Note that I said central cord, not silver cord, which is a different concept. 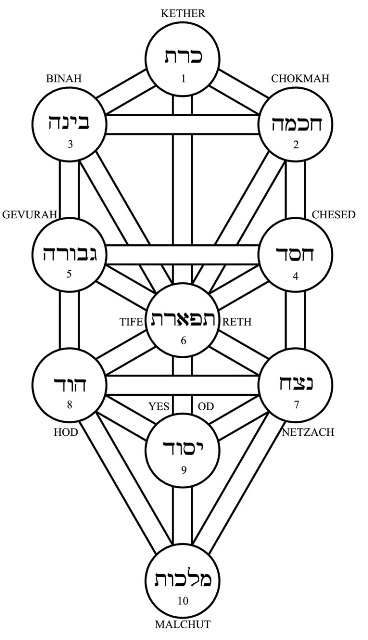 Each state is in turn supported by energy spheres or sephirot as depicted in the Hebrew Tree of Life. (Please note I'm not wanting to introduce any religious aspects here. It's just the closet model I have to help describe what I perceive.) This is a classic descriptive term for the central mystical symbol used in the Kabbalah of esoteric Judaism, also known as the 10 Sephirot. The tree, visually or conceptually, represents as a series of divine emanations of God's creation. In this way, Kabbalists developed the symbol into a full model of reality, using the tree to depict a map of Creation. When I was first exploring energy healing, this concept was introduced to me and I failed to grasp it. I have to be honest and say that I still do not understand the concept fully, but I do perceive similar patterns within the biofield during a healing session. The patterns I perceive are commonly much more complex than the 10 Sephirot portrayed in this image. Just to keep it simple, you could interpret each energy centre as an independent gyroscope, with dimensions within dimensions. Gyroscope is an apt description because that's how they are presented to me in a healing session. Sometimes they become unbalanced or slow down, and fail to maintain the correct alignment. When this occurs we need to make adjustments on multiple planes and it's like adjusting wheels within wheels until the correct alignment is found. Think about that for a moment. If your gyroscope is stuck, how can you stay on course? 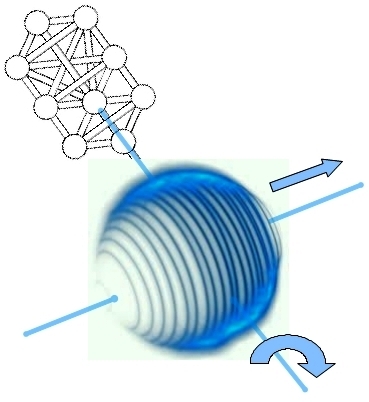 You could interpret each energy centre as an independent gyroscope, with dimensions within dimensions. These energy centres support the various vibrational planes of the biofield. They often need re-tuning and even replacing; adjustments to one plane will affect another. The human biofield as light. The total number of energy centres will differ for each individual. Every person is unique, emerging as one of many possible combinations. We recognise that your strands of DNA can become constricted, and it requires unique healing practises to uncoil or open the DNA, allowing for greater expression of light. In the end that's what we are, expressions of light. The term Human Biofield is often referred to as the Human Energy Field. Some will also describe it as your Aura but that is not really accurate, as I've already mentioned. If a person can see your aura in some form, they are usually perceiving a small frequency range within a very complex, energy field. It would be the equivalent of looking at an image on a television screen and ignoring the complexities involved in transmitting that image; ignoring the millions of pixels that make up the image. Just as I can see blockages within the human energy field, it's only within a particular frequency range. As valuable as it may be, it's still not the whole picture. As an energy being, your health is reflected in your biofield. Nobel Prize laureate Albert Szent-Györgyi once said, “We live by a small trickle of electricity from the sun”, and he's right. The miracle of photosynthesis transforms the sun’s light frequencies into green plants, trees, grasses and medicinal herbs. When consumed and digested, these plants release nutrients and multiple light frequencies into the human body. In addition, as humans we directly absorb light energies from the sun into our bodies. We are all light beings. We are all light beings and we need the nourishment of light to survive. Most people would be aware that we need to get some exposure to direct sunlight everyday for good health. The benefit of direct sunlight is taught in basic, school physiology. Along with the production of Vitamin D there are a myriad of other functions dependant on light. But we also need access to other light frequencies to nourish the Human Biofield and in turn our body. Cosmic (yang) energy is directly collected through the crown while other frequencies are assimilated through the remaining chakras. We also need to be grounded to Mother Earth (yin) to release damaging energies in exchange for other healing frequencies. Other sources of light energy must be consumed through our foods. I'm talking about fresh, preferably organically grown, fruits and vegetables that have captured light energy and transformed it into living nutrients. Nutrients that are rapidly absorbed and assimilated into the cells of our bodies, not dead, lifeless, processed rubbish. Our water intake needs to be considered the same way. Bottled water for instance is lifeless water. 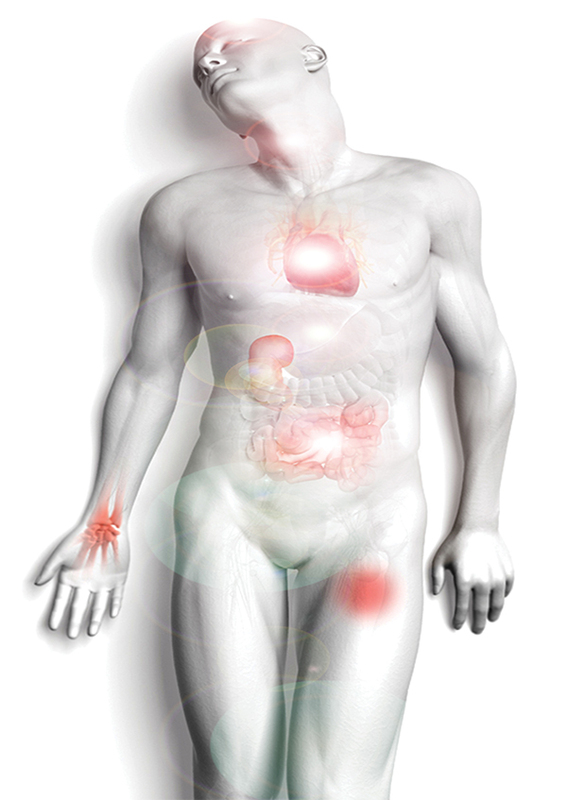 The Human Biofield or Energy Field has the potential to be corrupted and the energy flow blocked. When the flow is blocked or disrupted, a natural healthy balance cannot be maintained, and states of disease will become evident. Contaminated and lifeless foods, environmental toxins, parasites, chronic viral infections, surgery, emotional trauma and negative thought patterns, as well as misguided energies and inter-dimensional interferences, all have the potential to interfere with your energy flow. Everything we consume, both physically and mentally, have consequences. Those consequences can be supportive to our health or degrade it. What many people do not realise is that genetic hereditary patterns, and even past lives can have an effect on the light energy of the biofield. This is where energy healing comes into it's own by providing the techniques to cross multiple dimensions and make positive changes. 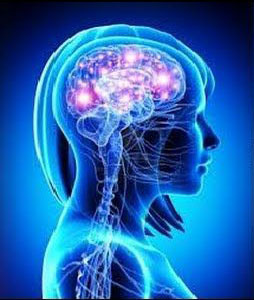 So having defined the Human Biofield we can move onto the realm of Energy Healing.